Larry, 82, is a retired veteran who served in the Air Force. He loves Aretha Franklin and BB King, but not many people know that. Since moving to Eskaton Care Center Greenhaven in 2012, Larry hasn't talked much. "He had a stroke," said Laura. "I was distraught and didn't know what to do." A support group helped her find Eskaton. Laura is Larry's closest family member and comes to visit several times a week. When she received a letter from the Care Center about a new music program, Laura got excited. She dug out Larry's music and brought it down. 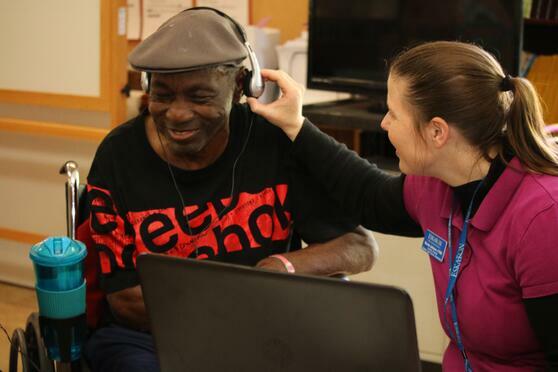 Nicole Johnson, activity director, is the lead at Greenhaven on Music and Memory, a program rolled out to skilled nursing facilities by California Association of Health Facilities (CAHF). 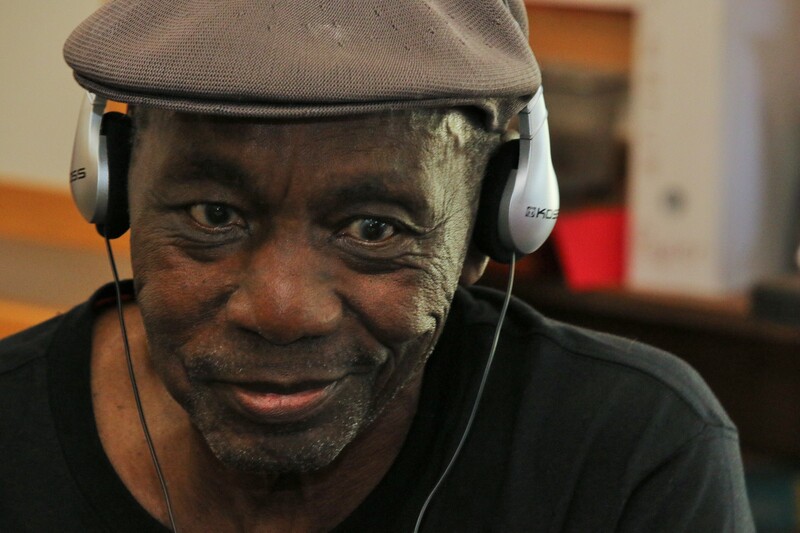 "Larry's face brightened up when he put on the headphones and began listing to some of his favorite tunes," said Nicole. "He gave me thumbs up to Beer Bottle Boggie by Koko Taylor." "He hasn't smiled and laughed in years," said Laura. "Larry also spoke five words, which he hasn't done before," said Nicole. Fifteen residents at Eskaton Care Center Greenhaved signed up for this program. With donations of iPods, original CDs and iTune gift cards, Eskaton, a local nonprofit, can help improve the lives of many more seniors living with cognetive decline. To donate, please call 888-684-6554. Larry story was highlighted in the Sacramento Bee on May 16, 2016. Watch a scene from documentary Alive Inside, winner of 2014 Sundance Film Festival. Eskaton Music and Memory particpants were highlighted in this UC Davis video.Click here to watch.